Other Notes and Information: Deceased chihuahua found on Bancroft and Lamar Street in Spring Valley. My family found the dog laying in the grass of our apartment on their way to work. My family called SD Department of Animal Services several times with several different numbers to have someone pick up the dog; notified them that it would be several hours due to it not being an emergency. My family called me at work because I work at an animal hospital and I sometimes have clients bring in animals to be scanned for a microchip. I swung by my home and took the dog back to work to be scanned with a universal microchip scanner. 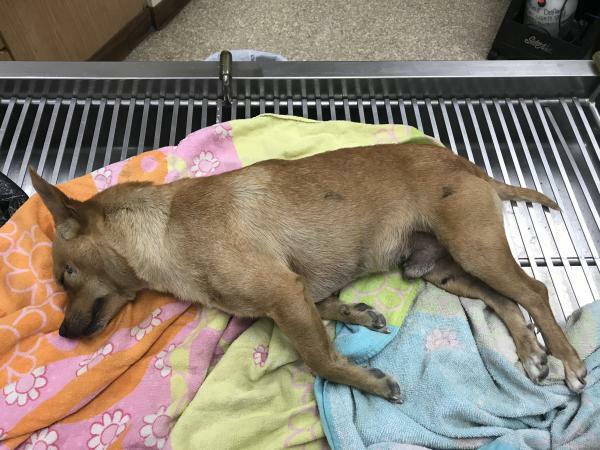 Description: Brown Intact Male Chihuahua; weighed 10 lbs and estimated between the ages of 5 years old and 7 years due to quality of teeth and old man face. His teeth barely had any plaque/tartar on them, so I'm assuming his family took care of them. He has battle scars and fresh scabs possibly from being HBC. His microchip number is an AVID number and not registered. AVID advised to call SD Department of Animal Services since that is where the microchip came from back in 2014. But SDDAC is closed and I wasn't going to leave him outside in the cold. He will be privately cremated for the family once I locate them. Owner information provided by SDDAC: Elmer Hanby, number not in service. Messaged on Facebook several times. If he belongs to anyone or you know anyone missing a brown chihuahua, private message me please. I would like to notify the family.